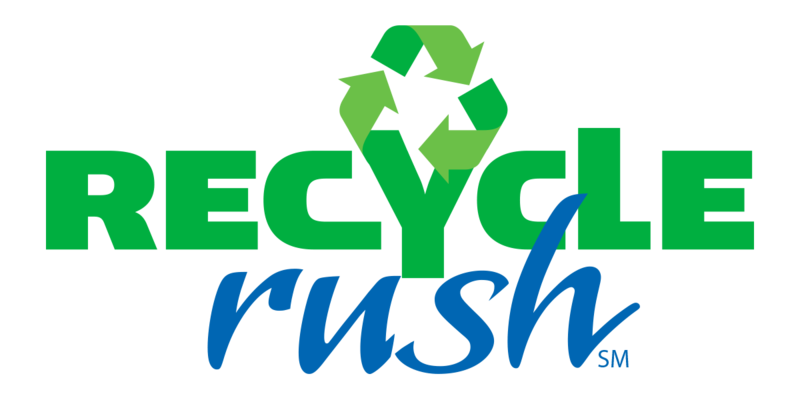 Each RECYCLE RUSH Match begins with a 15-second Autonomous Period in which Robots operate independently of their drivers. 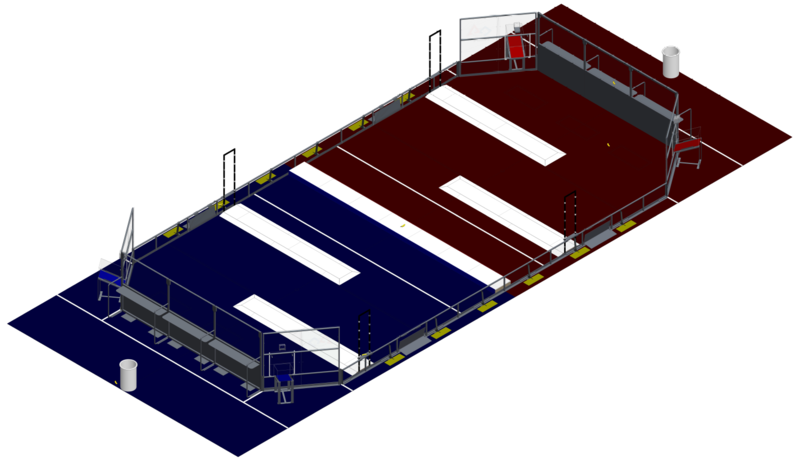 During this period, Robots attempt to move themselves, their Yellow Totes, and their Recycling Containers into the area between the scoring platforms, called the Auto Zone. Additional points are awarded if the Yellow Totes are arranged in a single stack. Points for this period are shown in the tables at the right. Alliances also earn points for disposing of their Litter in either their Landfill Zone (the area next to the Step marked by the white line) or placing Litter in or on scored Recycling Containers. Alliances that leave unscored Litter marked in the other Alliance’s color on their side of the Field at the end of the match add points to the score of the other Alliance, as it is considered unprocessed and not properly disposed. Alliances have an opportunity to earn “Coopertition Points” by coordinating with the other Alliance in the Match. Coopertition Points are awarded if, at some point in the Match, there are at least four Yellow Totes on the Step simultaneously. Coopertition Points are doubled if the Alliances arrange at least four of those Yellow Totes in a single stack on the Step. Points for the Match are awarded based on the state of the scored objects at the end of the Match (with the exception of Coopertition Points, which can be earned at any point during the Match). Point values are shown in tables at the right.